Being Retro: Bubbles and The Fat Head! I vaguely remember that toy. 8-track tapes. Wow. I think I had a friend with that toy. Great flashback. It's funny how interactive toys have given way to interactive video games. 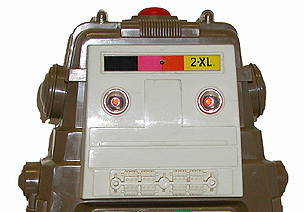 2-XL and Teddy Ruxpin could be amazing with today's technology.